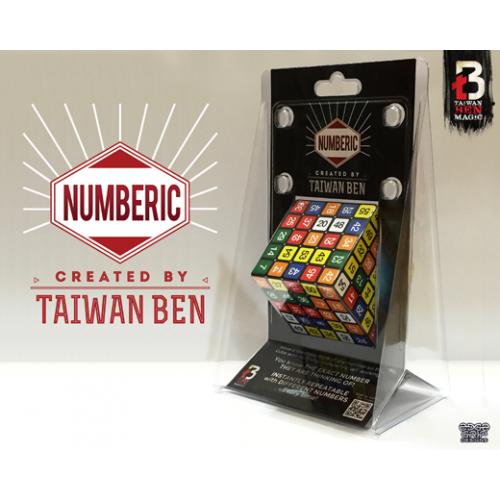 The Numberic Cube is thoroughly mixed and your spectator freely thinks of ANY number on any side of the cube. 100% FREE CHOICE! (No forcing and nothing written down). In the process of solving an advance 5x5 cube, you are able to connect your mind with the spectator's and read her mind while BLIND FOLDED. This is as close to a real mind demonstration as one can get. The moment you finish solving the Rubik's cube you are able to reveal your spectator's thought. "Brilliant use of an ingenious method, creating an impact on any audience so strong, they may believe you're the real thing!" "Literally as EASY as 1, 2, 3!!! Unbelievably clever! OMG! I wish I thought of it!" "I was fooled and the fact that you can do this blindfolded elevates this from a simple puzzle. Very clever thinking." "Diabolical method. Clever as hell. So many applications. I will be adding this to my show!" "I really like how Taiwan Ben has revisited this classic! It will make this concept modern and also more visual!" "An ingenious modern application to for this classic effect." "NUMBERIC turns what could be a boring mathematical puzzle into a polished gem of close up theater. 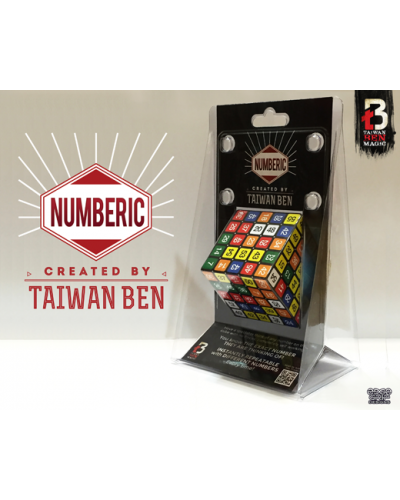 The cube is intriguing and the revelation options are colorful and fun!" "Real magic doesn't exist, but seeing NUMBERIC made me think that mind reading is real!"